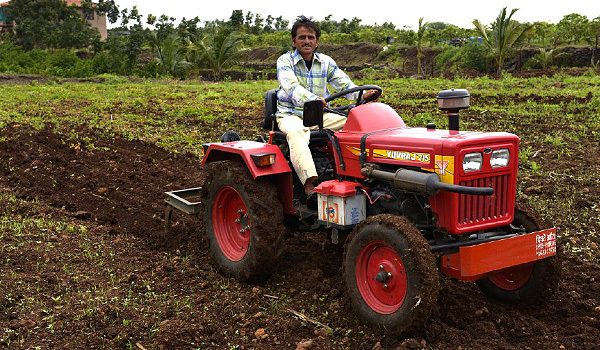 farMart, an agriculture machinery renting platform for the farmers and by the farmers, has received an undisclosed sum in funding from Indian Angel Network (IAN). The funding will help the startup “grow at faster pace and develop a stronger product”, according to Co-founder and CEO Sanghera. Founded in 2016 by Alekh Sanghera, Mehtab Singh Hans and Lokesh Singh, Gurgaon-based farMart helps farmers and local entrepreneurs rent out their under-utilised agricultural machinery to fellow small and marginal farmers in need, on a pay-per-use basis, via mobile app or call centre. farMart is currently operational in one district and will be expanding to more than 20-plus districts in Uttar Pradesh, Uttrakhand, Haryana and Madhya Pradesh. The startup has served more that 350 farmers and entrepreneurs to date. “All the founders come from agricultural background, and are passionate to herald the tech era in agriculture which has been elusive till now. There are around 120 million agricultural households in India, and many of them still without access to finance, machinery and modern technology. We have been working with the farmers to provide them access to modern agricultural machines in order to enhance their productivity and lower their cost of production. At the same time, we are able raise the (often-low) capacity utilisation rate of agri-machines resulting in an alternative source of income for machinery owners thus promoting entrepreneurship in the rural community,” said Co-founder and CEO Sanghera. The company is working with two Harvard PhD economists to conduct impact evaluation studies of farMart’s impact on farmer’s agri-input use, productivity and incomes. Agriculture plays a vital role in India’s economy. Over 58 per cent of the rural households depend on agriculture as their principal means of livelihood. Agriculture, along with fisheries and forestry, is one of the largest contributors to the Gross Domestic Product (GDP). Despite the tech revolution in the country, there has been no path-breaking tech development in the agriculture sector. The farmers understand that hiring machinery is more economical and time saving than hiring labour. About 80 per cent of farmers in India own less than one hectare of land. Such small landholding makes owning an agri-machinery an unviable option for most of the farmers. On the other hand, the exiting rental market is highly unorganised due to information asymmetry, no standard pricing and service and social barriers. farMart aims to solve this problem. Recently, AgroStar, another agri-tech startup which offers an m-commerce platform for farmers in India, raised US$10 million in Series B round of funding led by Accel Partners. In January this year, Mumbai-based RML AgTech, a startup providing smart-farming solutions on mobile phones, raised US$4 million from IvyCap Ventures.